The new IP that was once branded True Crime: Hong Kong but later taken over by Square Enix and renamed, will the new brand be able to satisfy hungry gamers? Unstable? Bitter? No, The Best Cop Around: This title was originally slated to be released by Activision under the name True Crime: Hong Kong but the title was scraped due to low expectations and being called "not good enough" to compete with other top open-world titles. The pieces were fortunately picked up by the well-known Square Enix, who saw out the development process and rebranded the title as Sleeping Dogs, technically a brand new IP despite the original version of the game being pushed to be a part of the True Crime franchise. 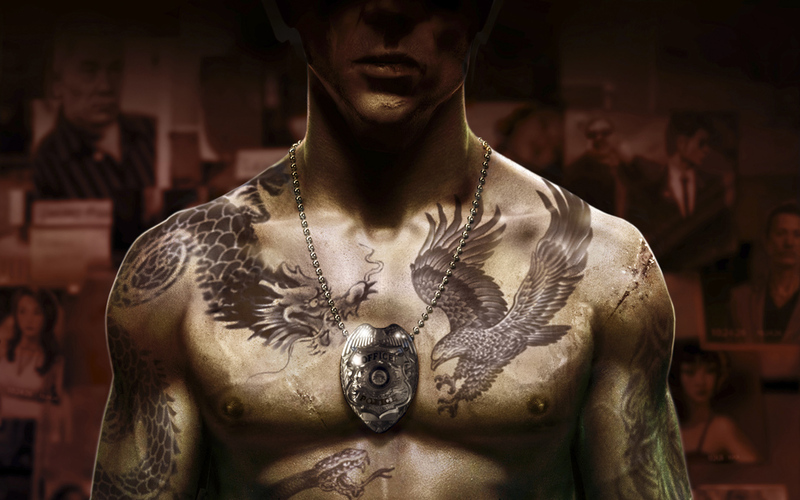 The narrative of Sleeping Dogs revolves around Wei Shen, a police officer that is sent deep undercover to infiltrate and take down the Triad organization Sun On Yee (the in-game equivalent of real life Triad Sun Yee On). As the game progresses you will find yourself tackling missions for both the Triad and the police force, with suspicions and general distrust arising on both fronts about the true intentions of Wei Shen. The plot is actually one of the strongest assets of the game and while you will be competing missions for both sides of the engagement, the narrative is surprisingly easy to follow and quite fleshed out. Subtle backstories and peeks into the psychology and mindsets of those who surround you are constantly offered, complemented further by the fact that informative "reports" about your friends are offered as reading material and unlocked as your further your progress. As well, your requirement to perform tasks for both the police and the Triad ties into the upgrade system that is not prominent in this title but regardless quite useful as hours of gameplay pass. Harboring Havoc: The upgrade system in Sleeping Dogs is not an aspect of the game that is often thrown into your face and displayed in the open, but hidden within the menus there is a method to progressing your abilities. As you complete tasks, you will earn Triad XP, Police XP and Face XP. Missions that are given to you by the Triad and the Police will, obviously, give you the respective XP points that you can use to improve your proficiency in a line of skills. Triad XP, as you may expect, is more aggressive and the trait lines on that side often focus on combat. Doing more damage, absorbing less, general mayhem enhancers are offered in exchange for your Triad XP points. When spending Police XP, they once again aid you in causing trouble but in a more discrete, less volatile manner. Breaking into cars with a slim jim that does not sound alarms or quickly disarming armed enemies without a struggle are just a couple of examples stemming from the Police XP line. As far as Face XP goes, that is your general reputation and does not have a specific tie to either the Triad or Police. Your Face XP goes up for doing random tasks given to you by citizens around the city, who often have you performing menial but somewhat entertaining errands. The Face XP ties into your constant Face meter that is displayed while you explore the world. Combat is a primary source of filling up that bar, which, when filled, will intimidate your enemies, give you more strength and diminish the amount you absorb for a short period of time. Everybody Was Kung Fu Fighting: The bread and butter of Sleeping Dogs, aside from the storyline, is the focus on hand to hand combat. Often pitted against five or six opponents, you typically dispatch of your foes with nothing more than your bare knuckles and fighting skills. There are weapons to be picked up such as tire irons and kitchen knives as well as a couple different kinds of standard guns (SMGs, pistols, etc.) but the vast majority of your damage dealing will be brought on by hand to hand fights. The combat in Sleeping Dogs is an asset to the game, as everything functions smoothly throughout the battle. Combinations are a necessary part of combat and as you progress through the game you will slowly learn different combinations to put together for maximum effectiveness. Punching, kicking, kneeing, throwing and tackling your opponents are standard fare over the course of a battle, in addition to being able to grapple your foe and not only throw or punch him, but utilize your environment to finish him off. There are a decent amount of environmental attacks at your disposal such as using car doors, dumpsters, soda machines and ledges to damage or flat out murder your opposition. The majority of the time you are forced to employ simple attacks like throwing your enemies into dumpsters and kicking them into phone booths but nonetheless it adds a bit of flair to ordinary combat. Who Remembers That Game? In fact, as a whole I believe Sleeping Dogs takes after an old Playstation 2 title by the name of "Rise To Honor" (not incredibly well known, but decent) in a couple of ways. For starters, the combat is smooth and revolves around combating multiple enemies at once. Aside from the similarity of having an "adrenaline" meter in Rise To Honor (the Face meter mimics it), Sleeping Dogs also sees you fluidly traversing the environment in pursuit of enemies and in general movement. Vaulting over objects and sliding through crowds is commonplace in Sleeping Dogs, as the gameplay seems to pride itself on being wholly fluid from the start of a fight to the finish. That being said, Sleeping Dogs, which is coming at a time eight years after Rise To Honor, is clearly superior in countless ways to that now ancient PS2 title. Who Remembers That Game? A smaller focus of the title but undoubtedly an important one in-game, the navigation system and general forms of travel leave a lot to be desired as you put time into Sleeping Dogs. You have a variety of vehicles at your disposal to explore the open-world of the title but almost all of them handle poorly and feel wholly clunky. Motorcycles to minivans, everything is difficult to control and even more difficult to avoid being used as a weapon against the city. Running into polls, barricades and other vehicles on the road is common and expected in Sleeping Dogs. To add insult to injury, the waypoint system in the game is wonky and does not consistently work effectively. While you can scroll out to your map and set a waypoint with specific directions on how to get there, oftentimes the directions will lead you down alleyways that are simply horrible routes to get to your destination. Even more laughably, occasionally you will be directed in a roundabout loop, taking the same roads and paths over and over before realizing that you are being lead in a big circle, nowhere near your ultimate objective. In addition, causing havoc in the presence of the fuzz will occasionally attract the attention of the men in blue. Varying degrees of their aggression towards you are displayed in the bottom left corner of your HUD but quite honestly, evading the police is far too easy. Much like Grand Theft Auto IV, when you escape the search circle of the police without being seen the heat will cool down and you will be able to walk free. However, a few minutes trying to escape the police will quickly teach smart players some tricks that allow them to easily get away with minimal effort. The AI displayed by the police is mediocre at best and, like you, also suffer from paltry driving skills. Stopping, reversing course and driving in the opposite direction works against even the highest level of police opposition most of the time, and the fact that you can escape whenever you choose takes a lot away from the suspense of being on the run. Rent vs. Buy: The game shipped with a multitude of bugs and glitches (prominently players fell through the world and were forced to restart) but those issues were quickly fixed up with patches, a much needed remedy for aggravating and time wasting hiccups. Sleeping Dogs did plenty of things well and considering this was a title that got pulled from the grave, I was fairly entertained by it as a whole. The storyline is the best thing this title has going for it and is good enough that you are likely to overlook shortcomings in an attempt to see out the plot. The combat was very well done but it feels as if this title focused too much on doing a couple of things really well (hand to hand combat, storyline) and neglecting other aspects of the game (driving, navigation). One last thing that I feel is important to note is that while Sleeping Dogs is rightfully marketed as an open world title, there is simply not much incentive to do anything but missions out in the wide open concrete jungle. Seeking out missions, performing those missions and repeating the process make up the majority of your time spent with Sleeping Dogs, and you will seldom find yourself causing random mayhem as you may in a title like Grand Theft Auto (there is simply no benefit to doing anything but missions! ).